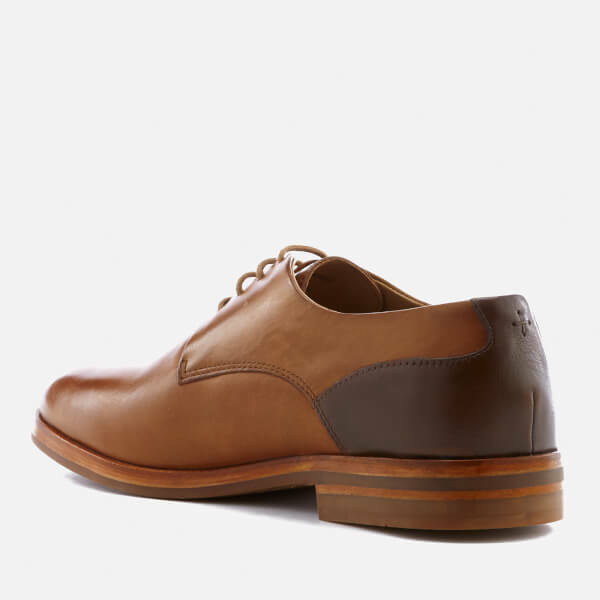 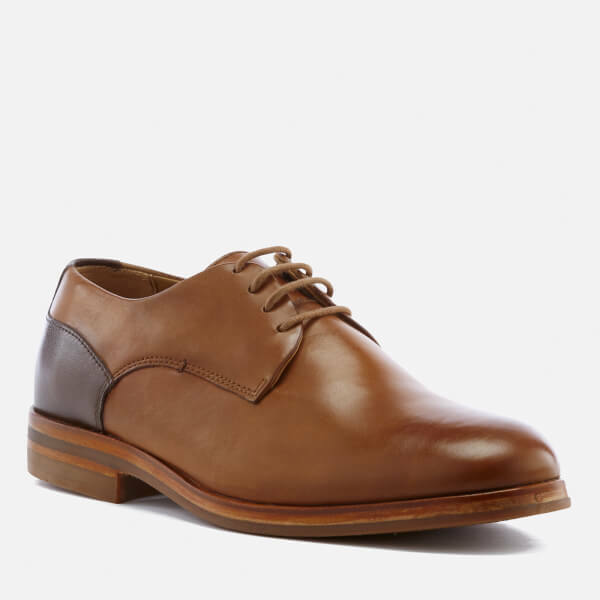 Men’s tan leather Derby shoes from Hudson London. 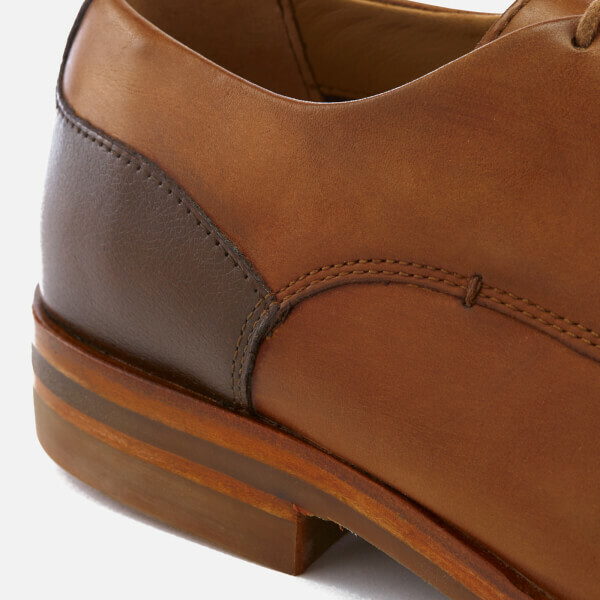 Crafted from soft tan calf leather, the ‘Enrico’ shoes are detailed with a round toe silhouette and contrast grained leather on the heel. 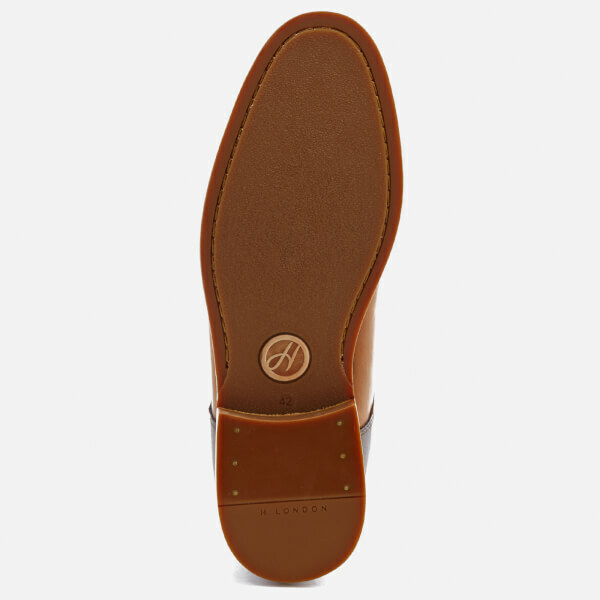 Set on a rubber sole with contrast details, the shoes are finished with tonal stitching throughout and a comfortable leather lining.